We set off on Friday morning – not too early, we were not in a rush today. As always on a Canberra trip, our first stop was Heatherbrae Pies at Sutton Forest for my favourite Chai Latte. We usually share one of these crispy donuts filled with cream and jam. 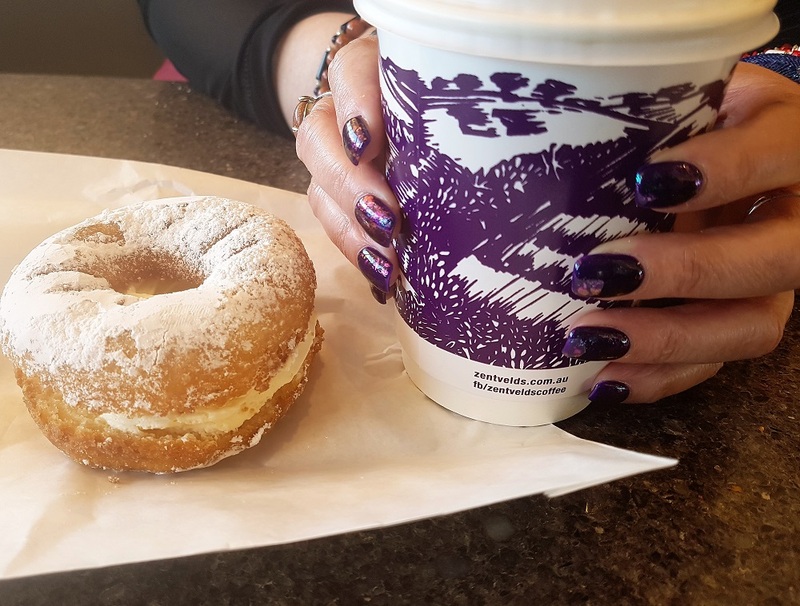 I do not usually get my full nails painted – I am more a french tips kinda girl – but on this occasion I went a little wild. 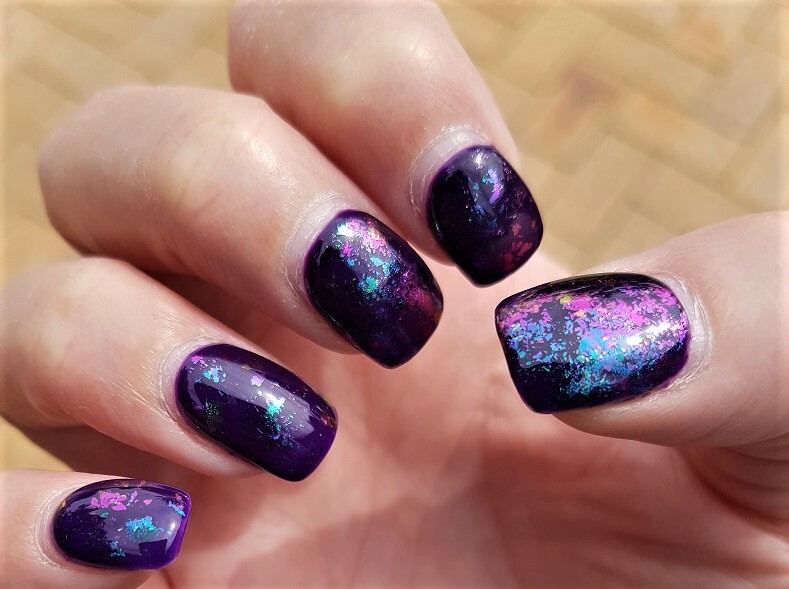 My nail lady has some new colours. Photos do not do these justice sadly, and this photo above was taken about 2 weeks in when my eyes start to twitch at the gap of newly grown nail without any paint on it. You don’t notice it as much with tips, that is why I tend to go that way, I can usually get 3-4 weeks out of those. Our second stop was the Canberra Outlet Centre and TK Maxx, where they had a great range of Halloween items. We do not do Halloween in this country for the most part, though many retailers are trying to make it a thing. 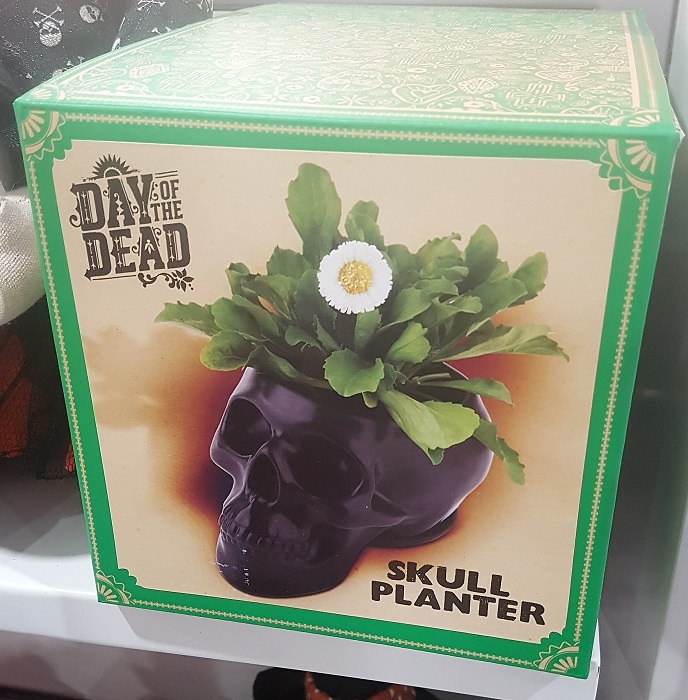 This Day Of The Dead skull planter literally screams the name of My Other Half, it was just $12.95 and yet we did not purchase it. We did get some cute coffee mugs with a skull design specifically for work as our work mugs needed replacing. It is a lucky thing these sparkly Skechers are not my style. How could I do anything or go anywhere? I’d just be staring at my feet all the time. I suppose trying to look at ones feet is marginally better than trying to walk while using a mobile phone – which I strongly do not suggest to anyone! We were looking at shoes because some months ago The Other Half lost one pair of his Skechers to “an incident” at the very dog-friendly Berry Markets involving the item you least want to step in and which shall remain nameless here for those of you who might be eating at this time. That left him with two pairs, one he uses for walking and one for running. He did not really have a backup casual pair for general outings, so we have been looking for one pair of shoes for him for a while now. The Other Half is possibly even more picky than me when it comes to a pair of shoes. I support him in everything but when we visit the 8th shoe store in a row and he likes nothing he sees and/or the things he does like are very Up Money and a price he is not willing to pay I begin to lose hope these new shoes will ever be found..
On this occasion we were very lucky – a shoe store was closing down and they had some lovely Saucony shoes at the insane price of $39. He tried them on and loved them so much we bought the last two pairs in his size.. and then.. there was another incident.. But this time a much more awesome one! 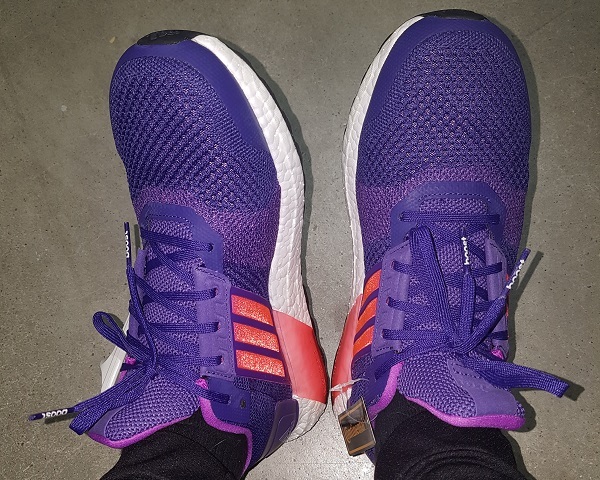 I’d looked at similar Adidas shoes back in June 2016 because Sephyroth was going to the Adidas clearance store and he was visiting just a few months later – I took some photos and I asked him something like “if you see these at a good price pls to buy them for me..” They were $240 at that time which is a price I would not be happy to pay for a shoe. These are a slightly older model than the presently available shoes and some stores have sold out entirely but they are in my favorite colours and I scored them for a tiny $99 instead of $249. What an incredible bargain! I have put them aside to eventually replace my running shoes. For now I will just admire their beauty. We had spent a couple of hours happily wandering and it was time to head in the direction of our chosen accommodation for the weekend. The entire reason for this trip was because I found an amazing price for The Avenue. I had stayed there once before when visiting Canberra with my parents.v The Other Half was not on that trip. 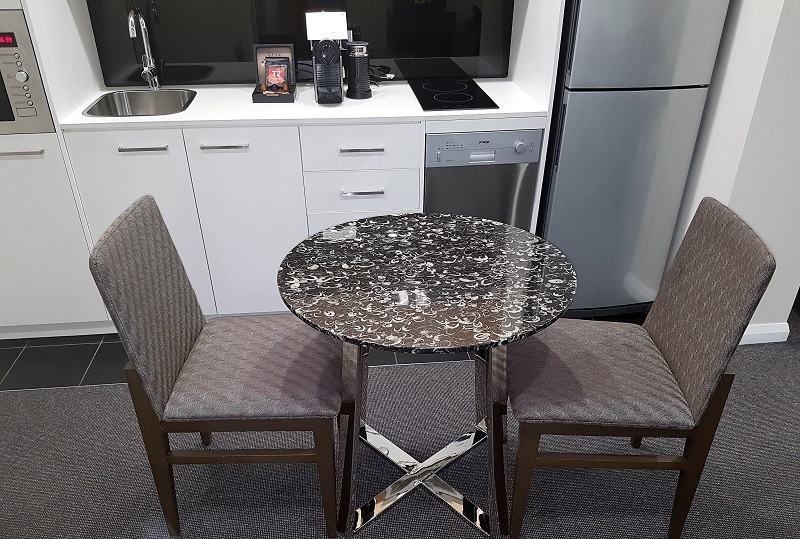 I was very impressed with The Avenue and the layout of the 2 bedroom apartments, which they can rent as a one bed apartment and a king studio, or as a two bedroom. 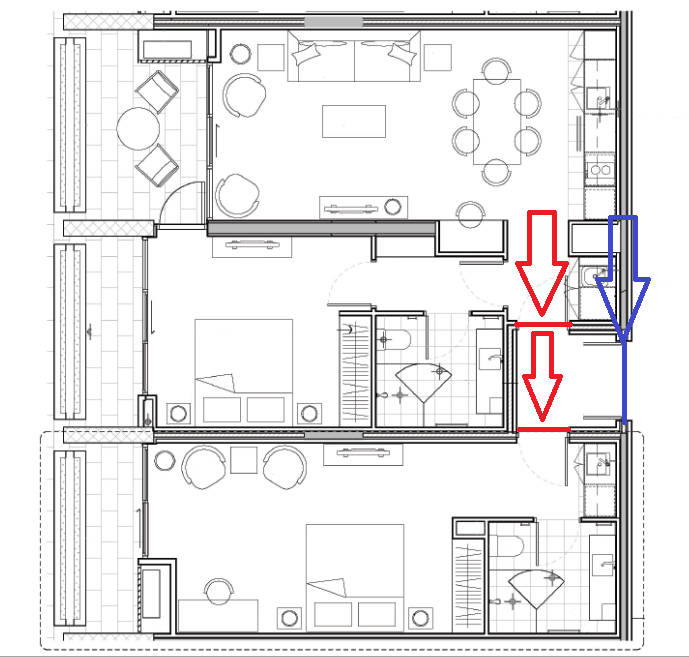 If it is a two bedroom, the double doors are opened with your key – if separate, then the double doors are locked open and there are two separate entrances – your key only opens your room and someone else has the other bit. What a great idea that is. There is everything you could need for a short stay in the 1 bed apartment, plus you will find some luxuries like a Nespresso machine. It is just a short walk to Canberra Centre and City Walk and all the goodness right in the heart of Canberra. So much great shopping and eating combined with zero crowds. This is one big reason why we love Canberra. A lot of people are haters of Canberra because of the politicians but do not let them put you off this fantastic place. 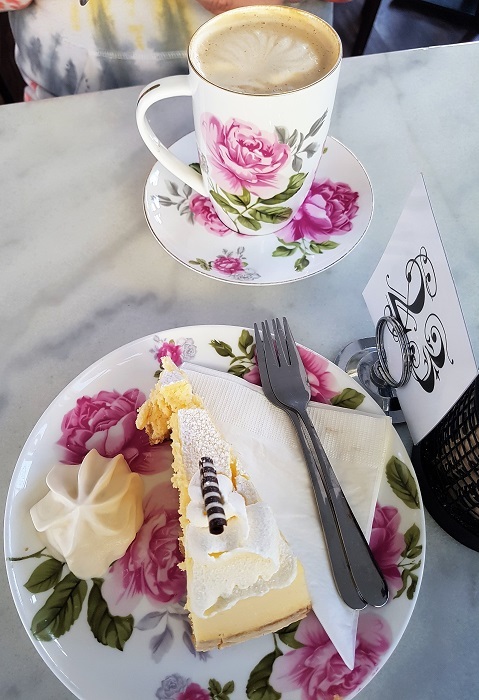 A coffee and cake stop at Via Dolce – aren’t the mugs and plates gorgeous? I wouldn’t be surprised if people steal these. We did not thief them, tempting as it might have been. We were good citizens and sat quietly and calmly and shared our delicious cheesecake and drank our coffee in the heated “white box” which was a lovely place to be on this cool day. 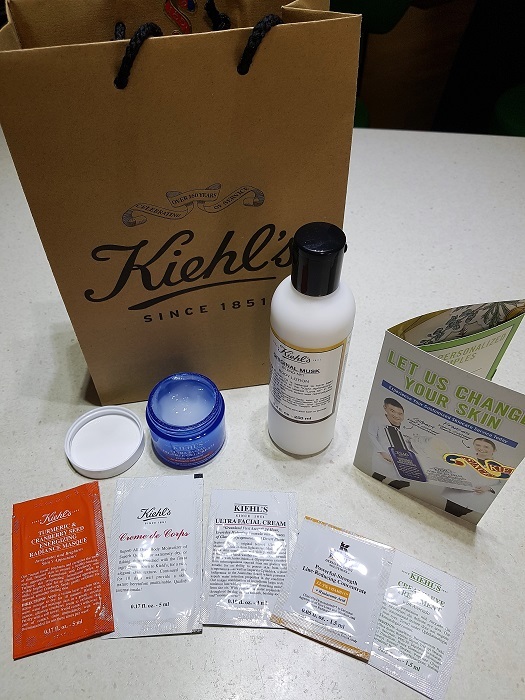 I first heard about Kiehls from Sydney Shop Girl and was somewhat intrigued in Sydney when I saw they had a Kiehls area inside the Myer fragrance hall. They were advertising 5 free samples and a skin consultation. We did not have time for this on our Sydney daytrip, but I hoped perhaps they would have the same thing in Canberra where I would have more time. Then, the week before we set off, I discovered the balm I had been using for my face was no longer available. I was mightily annoyed at this, I can tell you. So my possible drop in to the Kiehls area became a must do. I did a little research online before going there and had identified two possible options which I wanted to try – Ultra Facial Cream and Ultra Facial Oil-Free Gel Cream. I was already pretty certain it was the latter I wanted, I like a gel. I was 100% right – the gel cream is gorgeous. So light and sinks right in and does everything I want. I do not do a lot in the way of skincare – a daily cleanse in the shower and some good moisturizer is enough for me. I got the 50mls which is $40 and one only needs a tiny amount, so this will probably last me a while. I also bought the Musk body lotion which is a very unique fragrance and again I only need a tiny amount. I did get my 5 samples as well, and I will give them a good try. Best of all, unlike the crowded fragrance hall at Myer Sydney, there were very few people about and I got to speak to someone right away. The Other Half wandered elsewhere while I did this, and right when I had finished he appeared on the escalator coming back to find me. 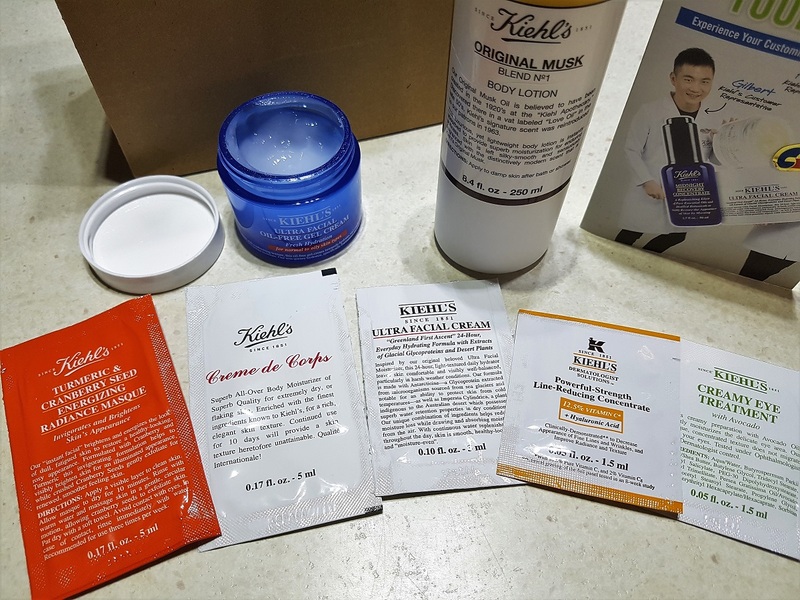 I am a big fan of Kiehl’s but have never used their face creams. I use their hand creme and lip glosses. I could drop some serious cash in one of their stores though. And I love your nails! This explains the abject failure of no spending in September ? The apartment looks nice and it’s an interesting layout, for sure. The apartment looks roomy, nice for a short stay. The rose patterned cups and plates are gorgeous. Beautiful china and manicure. Congrats. wonderful shopping trip and lovely nails!